Today we’re going to discuss how to effectively use Instagram to grow your business. I’m using my Instagram for one purpose: to promote, inspire, and help you guys see what I’m doing and get first dibs at things. I wanted to be very strategic when I use social media so my message doesn’t get very muddied. I see a lot of other practitioners do this as well, whether it’s Facebook, Twitter, or Instagram. Depending on how you want to use those resources, if you’re trying to do it from a business perspective, you’re probably not doing it right if you’re not only using social media to talk to your patients, but you’re also showing family pictures, what you’re eating, and things like that. If you want social media to drive business, you need to start using it more strategically. I’ve been dabbling with Instagram since January. I was hesitant to use it until I attended a webinar with Jasmine Star who has the course called Instagram 180. Instagram can be quite difficult to navigate in regards to how to get people to follow you in the way that you want them to. If you are using Instagram and you’re trying to attract patients, really look at your profile and ask yourself if someone who does not know you or your business would understand what your message is. This is coming from that idea of being consistent and clear to have people follow you for the right reason. From a business perspective, the only reason we’re really using social media is to add to your list or to get people in your office. I’m talking to Pratima today because she has generated over six figures in her business which is making quotes on paper. She hand does all of the material, screen presses it, and sends it out. Her business is very picture based so I wanted to pick her brain and ask her for her exact system: how she grew her business from 0 to six figures in 6 months. Today’s episode will tell you how much effort you should put into Instagram, and how concretely you need to stick to your message. This episode is sponsored by my 7 Day Detox Program which is a completely done for you program that helps you initiate an in-office or an online program for your patients or prospective clients and even use it to draw clients into your office. You will receive lifetime access to the program so as it evolves and grows, you will be in the loop and receive all of the updates. Can you talk about social media influencers and shout outs? What have you found is most successful to get the most engagement on Instagram? What Pratima’s Instagram strategy is. How frequently you should be posting to Instagram. 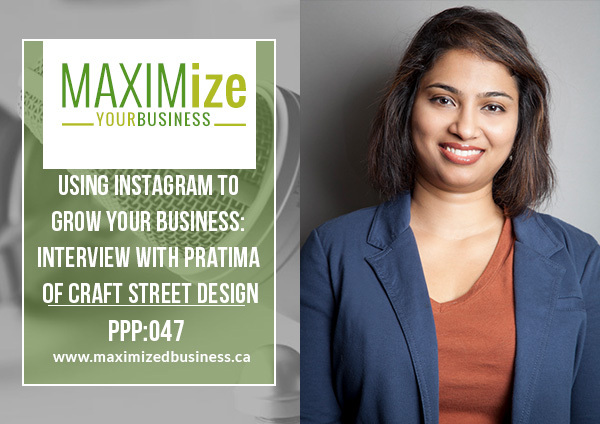 How Pratima uses direct messaging on Instagram to grow her business. Why she uses quizzes to grow her audience and how she creates each quiz. What you should be doing with your email list and why you shouldn’t send automated emails.